The date is 1964, and Lily Owens, a fourteen-year-old white girl, lives in Sylvan, South Carolina with her cold and detached father. The girl’s dream and hopes revolve around the blurred memories of her dead mother, imagining the idealized parent that would brush the coldness of her reality away. Lily views old photographs of her mother, and takes special interest in one with Tiburon, S.C written on the back because it includes a picture of Black Mary, a rare depiction of female and black power. Other struggles in society, such as prejudices against black people and women, stress Lily to escape from her current life further. Rosaleen, a black housemaid and Lily’s only friend, stands up against racists who attempt to harass her because of her color. When Rosaleen is unfairly condemned to jail, and is put in danger of being killed by the racists, Lily decides it is time to take action. She breaks Rosaleen out of the hospital that she is being kept, and both of them escape to Tiburon, S.C , hoping that it might bring them somewhere worthwhile. Surviving on the few cents that Lily earned in her allowance, the two live in the small, unfamiliar town until they find jars of honey with the familiar Black Mary pictures. 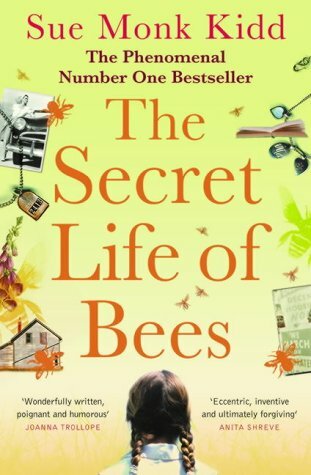 The producers of the honey, black sisters, who are beekeepers, allow Lily and Rosaleen to stay with them. Their names are August, June, and May Boatwright, and they shock Lily with their sophisticated ways. She learns the absurdity of racism and quickly overcomes her surprise that the sisters are educated and thoughtful. Lily also sees the strong bonds between the daughters of Mary and learns to feel confident as a woman. To be honest, I was a little reluctant to read the book at first. However, there was quite a bit of action in the near-beginning of the book and I was soon interested. Lily’s personality is very strong, and she always comes to action and is the opposite of the usual, boring, passive character. The growth in Lily’s character develops her as more understanding and wise in proportion to her hot-headed childish mind, but stays bold all the same. I think the prominent character of Lily combined with the other strong women and black characters stand in stark contrast in the time era. Lily’s discovery of the mother-like presence in the black sisters refers to the fact that female-dominating, motherly, bee society. The book has very simple vocabulary, but contains some strong themes that may not be suitable for young children. I would recommend this book to older middle school students. I would rate this book eight out of ten stars. 1. Why does Lily call her father T. Ray? 2. What is the main character’s name? 3. How did Lily’s mother die? 4. Why does Lily’s mother’s card have a Black Mary picture and the words Tiburon, S.C on the back? 5. Did Lily’s mother actually leave her behind? 6. Why won’t June marry Neil, if they had been together for so long? 7. Why did August paint her house pink if she likes blue? 8. Why did Lily’s mom feed the cockroaches marshmallows? 9. Why is May taking so long outside? 10. Why did May commit suicide? 11. Why is there a coil of chains beside August’s feet? 12. How does August know that Deborah Owens (Lily’s Mother) was Lily’s mother all along? 13. Why does August say that the truth about Lily’s mother would be hard on Lily? 14. Why do they dunk honey on the Black Mary statue? 15. Will Lily go back with T. Ray eventually?